Need to keep Gold open until 4 weeks after renewal as the bonus arrives then. You need to keep your Gold until you receive your 10,000 points and then close your Gold. Open this free card before you close the Gold to retain your MRP account and balance you have accrued. Is it possible to obtain the basic international currency card (the free one), pay for the $30p.a. Membership rewards fee, transfer existing points to this account, then cancel the UK Membership rewards card (platinum charge, gold credit card etc) to reset the 6 month clock? Yes, works on paper – except that you need an existing Amex card to get ICC so would that be cancelled if you no longer held any other cards? Good spot Andrew S! I’d be happy to bung a bit of money amex’s way to keep them live and free up my churning process again. You can cancel all your cards and keep your ICC, i churn on my UK cards and transfer everything across to my platinum ICC once a year. The two are handled as separate entities, and as far as i can tell the pre-existing relationship is due to the fact that if you live abroad (i do) there’s little recourse for amex in case of default. That’s interesting Jack and very helpful. Points never belong to a supp. Wasn’t there an article a few months ago about the new Amex Gold Credit Card, and can you switch from Gold Charge to Gold Credit at the end of year 1 to a) keep points alive, and b) get another free year (of Gold Credit)? Thanks. Yes you can do that too if you are still on charge. Bugger never knew this! Just cancelled my gold charge card last week and all I’ve had after endless calls is do want to pay a monthly fee instead of the £140 renewal fee….also in my experience in the past week what the hell has happened at Amex? The calls have been answered by people who barely speak English and are beyond useless. It’s took me a week and numeorous calls to get both my wife and I new gold card on our on line profile as it wouldn’t work manually. Come back Brighton! If you call and it isn’t Brighton just hang up and try again. Or better, explain first why you are doing so, and perhaps eventually the feedback will get to the management and force a review. Hey I am thinking of doing this, should I wait for the bonus points to come after my first year (november 2018) then apply for the credit card. or should i go ahead and apply for the gold credit card now then when my points come cancel my charge card? Will I be able to keep both cards or will my charge card get cancelled when they issue the credit card? Hopefully I didn’t confuse anyone reading this. thanks for answering in advance. You can have both at once so you can apply now. An “Amex beginners” question if I may. I hold the Platinum card if I now get the free (for the first year) Rewards Gold card do I get a second rewards account or do all the points for both cards accumulate in one pot? Same happened to me when I got the gold companion credit card after my gold charge card. I just had Amex combine the accounts. You could try and create a separate online account when you sign up for the card, but not sure if that does anything to force them to be separate. I had my Gold card on a different login to my BA card and my wife was forced down this route when she signed up for her first card in Married name but hadn’t changed the name on her existing cards. Same has happened to me before, ended up with three separate MR accounts between Gold, Platinum charge cards and the Gold credit (ARCC this article refers to, back when it was Gold – mine still is, although the picture in online services is the blue and white atrocity above). They can merge the accounts if you ask them. If I have the green Amex card which costs £60 per year, can I apply for other cards such as Gold and still collect the bonus? Only if you don’t have a Membership Rewards account. O/T I have just completed my 5 referrals on platinum and looking to cancel my card. After 6 months I believe I can receive the bonus by re-applying, can I also start the referral cycle or do I need to wait one year? does anyone please have the upgrade link from gold charge to platinum card ? When you upgrade from PRG charge > platinum and have the gold companion, what happens to the told companion? Should you cancel the companion card when upgrading so you’re eligible for the 5000 points for applying for the platinum companion on the platinum charge? You keep the companion credit card (unless you cancel it). When I upgraded to the Platinum card I didn’t cancel the gold companion credit card until a few months after the upgrade. It remained as the gold companion card. I finally cancelled it then subsequently applied for the Platinum companion card (when the link came up on my online account), and still got the 5,000 point bonus. I’ve just upgraded from GOLD Charge to PLAT (20k for bonus for spending 1k upgrade deal), my partner had a GOLD companion, and was automatically given a PLAT companion card… so far no 5k bonus. Moving points to ARCC is nuts in my view. Surely once you’ve earned your sign-up bonus you should cash points out, cancel the card, and start the clock ticking on the 6 month wait before you can reapply? Having an ARCC means you can’t start that 6 month “no MR-earning card” wait. It’s not as though any of us are seriously waiting for a Amex MR > BA Avios transfer bonus, is it? Rob is hardly going to promote card churning in his lead articles now is he? On the few occasions he has recently promoted a slightly dodgy benefit, it’s rapidly disappeared. Even when he promoted a well known and not dodgy benefit (the Hilton card free night) it disappeared shortly after. Victim of his own success! I think the whole point of the article is to highlight another option that may suit certain individuals. If you have no need to transfer the points immediately then you don’t have to, you can get 18 months of 0% spending and collecting MR points and can churn the co-branded cards too if you want sign-up bonuses in the meantime. In fairness, the Hilton free night was hardly a hush hush affair, and it was around for several years even with HfP promoting it! No, but then those of us with a decent sized MR pot value their flexibility where they are. I could transfer into any partner and since I have sufficient for a redemption with any of thrm, it really does mean I could have my pick of airline. If I move them now I’m lumped with BA. Plus I already have plenty of Avois through the BAPP. If you have a corporate amex and an associated MR account you can transfer your points there when you close your personal Amex. That restarts the clock, and you can then collect the bonus on a new personal card 6 months later having kept your MR points. I asked an Amex rep about this at a recent trade show (they were trying to flog their business card). They were very clear that I wouldn’t get the bonus as I had a personal card already. Did they have a spinny wheel game with prizes?! That’s what they rig up at the Business Travel Show. You WON’T. Amex occasionally makes mistakes, and if you want a personal card anyway then obviously there is nothing to lose, but the rules are simple. You already have a MR account and so don’t qualify for any bonus. My Oct SPG Amex monthly points transfer have hit my account today, anyone had September’s credited yet? I got September’s; not August’s. Tried to make a complaint via Live Chat and was told that they would manually push the missing points and I should have them within 7-10 days. I never saw the tracker on my app, but if you spend the 1k, it will hit after a few days. 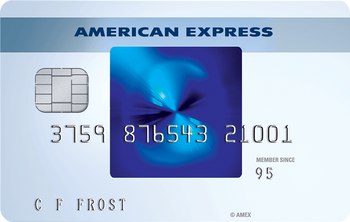 OT: Amex BA free card – not showing any bonus for taking out a supplementary. Does anyone gave any experience of receiving one anyway? Heard of bonus for adding another card on BAPP. Ditto on BAPP. Got new card and added supp. nothing showing though. Nor is there a counter to hit the £3k for 26k sign up bonus? Last month got 1000 avios for supplementary on free BA card. Added it a week or so after received the main card. Does anyone know what information Amex require when chasing on a bonus from a referral?Referee details,I suppose,email address,etc. Any experience anyone lately,bonus not received for a referral from Platinum to free BA Amex?